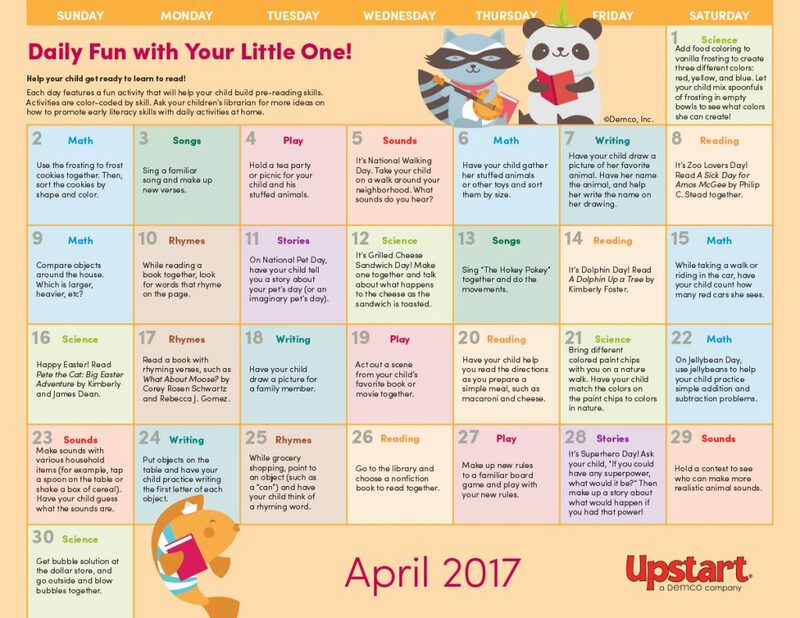 Send parents home with a plethora of fun, simple ideas that they can share with their kids to boost early literacy skills. April is filled with books and activities celebrating the Easter Bunny, Jellybean Day and Pet Day, as well as simple science experiments, silly songs and more. 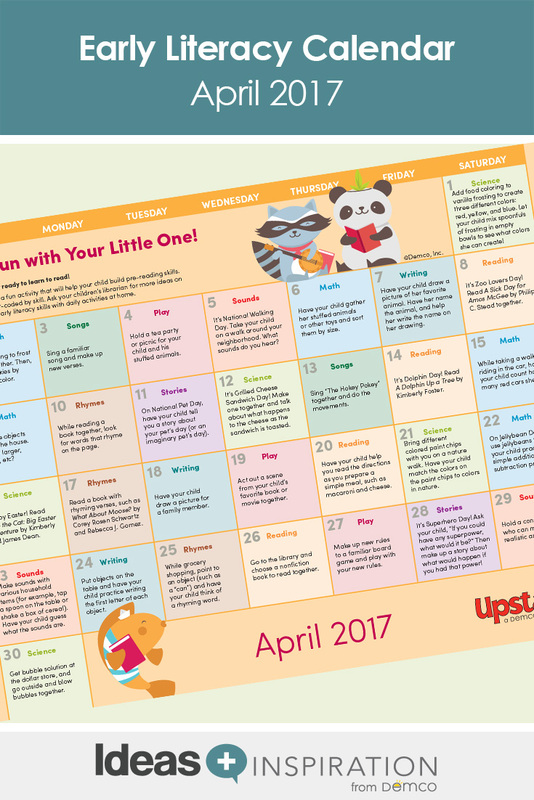 Download the April Daily Fun With Your Little One calendar.